"I was recently embroiled in a long and interesting conversation in Switzerland. The topic of this conversation, which occurred before the introduction of the Nomos Glashütte Neomatik, was: how can Nomos Glashütte make a watch with a manufacture movement for about €1,000 when – with the exception of perhaps the Swatch Group, a conglomerate that owns close to 200 companies – Swiss brands can’t? The entry-level price at Nomos Glashütte is exactly €1,080 for the Club, a 36 mm stainless wristwatch with a hand-winding manufacture movement (Caliber Alpha) designed and made in-house. Yes, that’s right, an in-house manufacture hand-winding movement for under $1,500." Maybe they took some pointers from Seiko? bedlam wrote: Maybe they took some pointers from Seiko? Nah-then there'd be a Club Padi or a Save the Ocean Ahoi and they'd all be 44 mm cases. 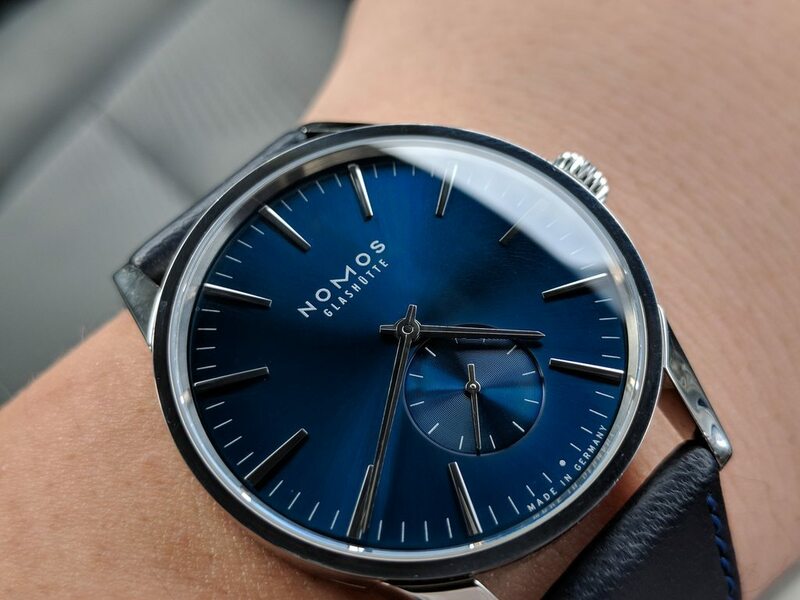 Uh, segueing back from the department store watches: Just four years back I would have said that I'd never seen sleeker, better-built watches, real bangs for the bucks, than the Nomos line ... and no later did I say this than their prices exploded like a hamster in a microwave. I have nothing but scorn for the minimalist trend, which begat MVMT and DW and STFU - but the sheer quality of Nomos made me an instant fan. But that was then: don't know where, other than a couple of instances, you can grab a current Nomos model for under three K. The moment Nomos became popular, the gouge was in. I know, in-house, la de da: It's all prevented me from buying one, that's for sure. 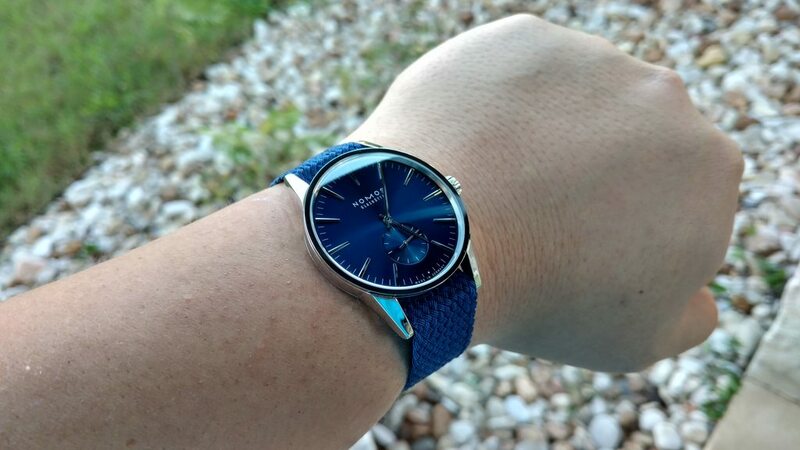 The watch is very simple and basic, inexpensive to produce and distribute. However most of their simple and basic watches are €3k or more, which means they are generating super-profits from the Hodinkee generation. Well, as TB notes re the $------- I wish I'd joined when you did. TemerityB wrote: don't know where, other than a couple of instances, you can grab a current Nomos model for under three K.
They've got several watchlines that are under $3K and some under $2K. Is the Nomos Club Campus still worthless and ghey?? I'm just trying to stay on the trend over here. Banned, I stand corrected, thanks. Basing my thoughts on what I found at my local AD, who apparently only sees fit to stock the pricier stuff. TemerityB wrote: Banned, I stand corrected, thanks. Basing my thoughts on what I found at my local AD, who apparently only sees fit to stock the pricier stuff. Not trying to correct, trying to encourage you into getting one . Man, banned - that is just mint. The one time I got to try on some Nomos, they just melted into the wrist; I'm assuming you are enjoying that one immensely. conjurer wrote: Is the Nomos Club Campus still worthless and ghey?? I'm just trying to stay on the trend over here. I wouldn't say it was worthless. Same in the UK. Seemingly entry-level watches at £2,000 or more that don’t offer anything more than the Clubs. I don’t understand the pricing policy - are the Bauhaus-style cases really that much more expensive to make? Ten years ago a Tangente was £600; now they’re over £2k. It takes Rolex’s price inflation since 2006 or so, and fucks it furiously in both ears. So much for the smug, simpering “our cost base is low and we are just like really simple and natural” claims. Last edited by Pubbie on November 8th 2018, 3:47am, edited 1 time in total. HEY!!! I am old. Do you really expect me to remember everything? Go crow at the sun or something.